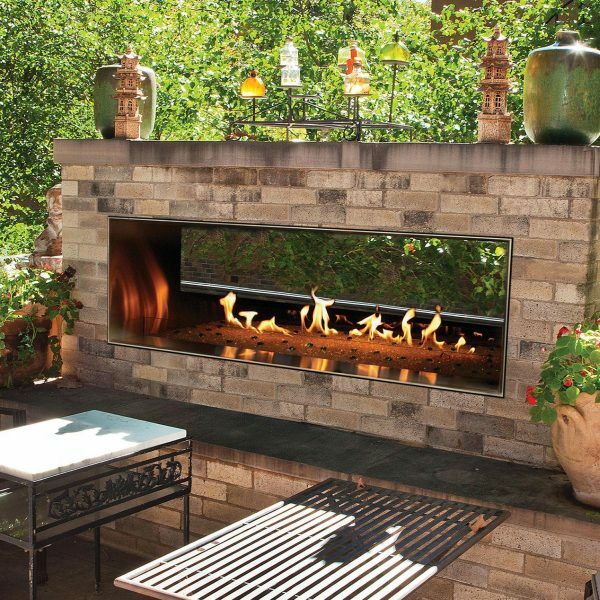 The luxurious Empire Carol Rose Linear Outdoor See-Through Fireplace – 48” allows you to enjoy your fires from various angles and gives you the ability to expand your outdoor room. 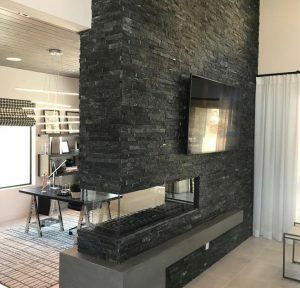 This sleek fireplace features a variable flame burner that allows you to control the height of your fires and a push button ignition, which makes starting a fire quick and easy. 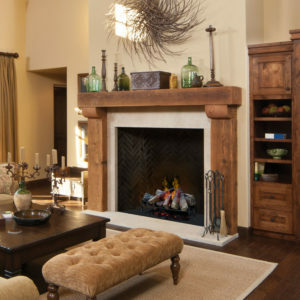 LED lights that sit under the burner can be programmed to create the look you want for your fireplace. 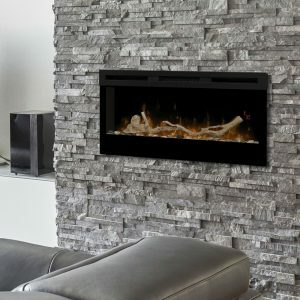 You will be able to choose your burning media by selecting one of the gorgeous variations of fire glass that are available. The Empire Carol Rose Linear Outdoor See-Through Fireplace – 48” can reach up to 55,000 BTUs keeping you and your family comfortable and toasty on cool summer nights. Your fireplace will come with weather deflector glass panels which will help shelter your fires from the wind and other elements. This fireplace is the piece you need to turn your outdoor room into a relaxing and carefree oasis.